ZaidLearn: The Top e-Learning Mover & Shaker of 2013 is Captain Zaid! 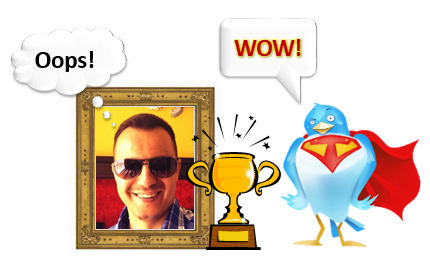 The Top e-Learning Mover & Shaker of 2013 is Captain Zaid! 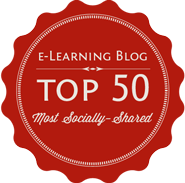 Top Secret Juice: Top 50 e-Learning Super Heroes on Planet Earth! Congratulations to all 220 Nominees in #TEMS13, you are all e-Learning Super Heroes! Congratulations to all 1,861 from around the world who voted giving 6,680 'Votes Up' to their favorite e-Learning Super Heroes (generating 33,000+ views). Congratulations to all sponsors, which are the International Medical University (IMU), iBerry (The Academic Porthole), WizIQ and Listly. Challenge all those secret e-learning polls run by panels and algorithms that are annoying (to the least). Create a transparent and open poll that celebrates the World's top (e-)Learning professionals from all sectors, including primary, secondary, tertiary and corporate learning worlds. 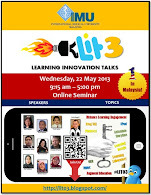 Connect all these amazing (e-)Learning professionals through a poll using Listly and applying a gamified algorithm to encourage them to explore, discover and connect with one another. Make all these (e-)Learning professionals more 'discoverable' to the world through a unified directory with filters based on the major continents (South America, North-America, Asia-Pacific, Europe and Africa). WOW! But, aren't you the guy who is the _____? Yes, I know! But? Yes! But? Yes, I know! I was last and needed a miracle to win! Interestingly, not many from IMU (where I work) had voted for me yet, but on that last voting day I got unbelievable and unstoppable support from IMU and IMC to make the difference that separates me from the other three e-Learning Super Heroes. In short, WE MADE HISTORY in the most thrilling way I can imagine! Thank you everyone who voted, participated and/or promoted #TEMS13 from the bottom of my heart! *Zaid Ali Alsagoff is not eligible for any awards as he is the originator, organizer, promoter and Twitter MC for #TEMS13. 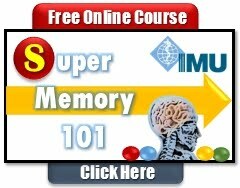 E-LEARNING SUPER HERO OF 2013? Top 3 will get free (commercial) Listly accounts for a year. The nominee with the highest score (based on the gamified points system revealed below) wins this award, which is the most prestigious of the two awards, because it takes into account who is voting, besides the number of votes. Also, it requires the nominee to show pro-active professionalism and appreciation of the other participating nominees. ...Will be revealed 12 February (2014) during the #TEMS13 Online Award Ceremony (10:00 PM Kuala Lumpur time). CLICK HERE to attend (and for details). The 2 award winners and all the e-Learning Super Heroes nominated will be celebrated before my MOOC talk exploring 'Creative Super Learners'. 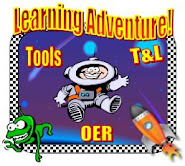 ALL 'TEMS13' E-LEARNING SUPER HEROES! Hello Zaid and all other winners..
Congratulations, this event speak of your achievements and contributions to the world of e-learning. Hi Zaid, congratulations and many thanks for this list. Hey not bad, I made it to the list too! I was first from the bottom in the Asia Pacific and I am chuffed (happy) as that makes me easy to find on the loaded we page - just scrolled right to the end, LOL! As for the world list, I made it to the top 10 from the bottom. Again, ez to find. The list made me realize - what a diverse and vast playing field, collaboration field, e-learning is today. And I thought it was just Zaid and me! Haha just kidding bro, keep up the good work!! They want it to come naturally, as if your colleagues or clients are going to discover you are on the list...It rarely happens, and if it does it usually happens to experts that are already known. Thanks for the list. All are great-full member in engagement in the digital literacy.